The exhaust systems installed on vehicles out of the factory are meant to please everybody. We have the ability to remove the factory system and put on a different set of pipes and muffler to get the deep throaty muscle car sound that you desire. 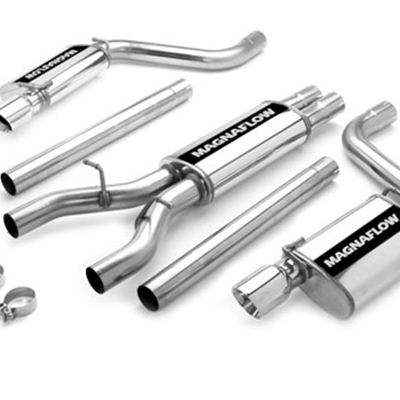 Modifying the exhaust system not only transforms the sound of your system, but the performance and styling of the vehicle can see benefits as well. With a properly designed aftermarket system, it is possible to see gains in peak engine horsepower as well as fuel efficiency. Contact our Davis GMC Buick Parts and Accessories specialists to find out what we can do for you and your vehicle.